I love this macro shot! Gorgeous! Wow, ganda ng shot ng flower mo teh, haha! i always believe in the positivity of things. exude positive attitude in all things, human or non-human, and it will all bounce back positive rewards, too. ahhh, so love your composition of this macro shot, Mhie. Superb! simple but gorgeous... love it. Love the caption! That's so true. Everyday is a NEW experience! Great photo as well. Is this from a Gumamela? Stunning it is, well captured. so true. that's why children are the happiest people on the planet. they appreciate simple things and they only want simple things. Simplicity at its finest! 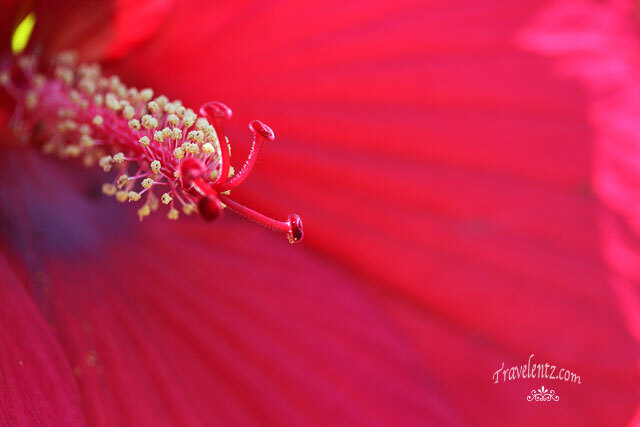 Great and lovely shot of the hibiscus! now this is really magnificent shot! Lovely capture, Mhie! I am most definitely enthralled! beautiful photo! very well detailed!